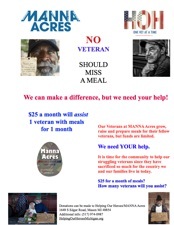 VOLUNTEERS TO HELP OUR VETERANS..
To support our cause! go to to our Donate Page Donate Here! !